Progress 8 Score of +1.42 – the highest value-added of all multi-academy trusts in the country. Four of the Trust’s secondary schools are in the top 12 for Progress 8 scores across England. 78% of students achieve a ‘strong pass’ in English and Maths – compared to 40% nationally. 50% achieve the English Baccalaureate, three times the national average. The average grade in English Baccalaureate subjects was 5.8. 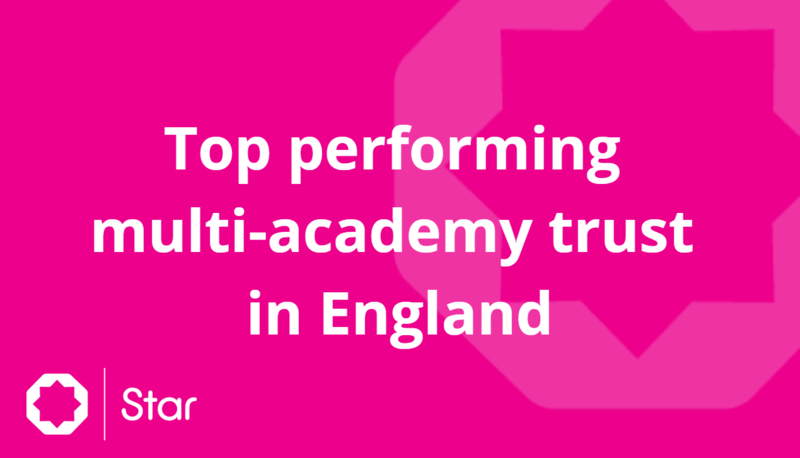 Star Academies has been ranked the top performing multi-academy trust (MAT) in England in the Department for Education’s (DfE) 2018 MAT performance tables published today. It is the first time Star Academies, which operates 24 secondary and primary schools nationwide, has featured in the tables. The performance tables rate all multi-academy trusts in England with pupils taking part in exams in 2018. Only schools that have been operated by a MAT for 3 or more years are included in the results. In the headline ‘Progress 8’ Score, Star Academies achieved the highest value-added in the country (+1.42). ‘Progress 8’ (P8) is the Government’s main performance measure and reflects the value that schools add to the progress of students compared to their peers of similar prior ability across the country. Eden Boys’ School, Bolton was 70th with a P8 score of 0.96. 78% of students at schools operated by Star Academies achieved a ‘strong pass’ in English and Maths, compared to 40% nationally. 50% achieved the English Baccalaureate, with an average of 5.8, compared to 4.0 across the country. The English Baccalaureate recognises achievement in a range of academic and challenging subjects. It is awarded to students who achieve a ‘Strong Pass’ in English, Maths, Science, a modern foreign language and History or Geography. Nationally, around a tenth of students achieve the English Baccalaureate. This was the first year when new tougher exams in subjects such as Science, Languages, History and Geography – assessed using a new 9-1 grading system – were completed by students across the country. A grade ‘5’ or higher is considered a ‘strong pass’ whilst a grade ‘4’ is a ‘standard pass’. Tougher exams in English and Maths were introduced a year earlier.